The Youth Wellness Coalition (YWC) is a drug and alcohol prevention coalition sponsored by the County of Santa Barbara Department of Behavioral Wellness and facilitated by Future Leaders of America, Inc. The YWC is a service to south Santa Barbara county by providing access to information and resources about wellness from over ten committed organizations. The Youth Wellness Coalition (YWC) envisions a community where all youth have an opportunity to develop in a safe, healthy, and prosperous community in which youth are primary agents of social change. The Youth Wellness Coalition is committed to advocating for safe, healthy, and prosperous communities for all youth. 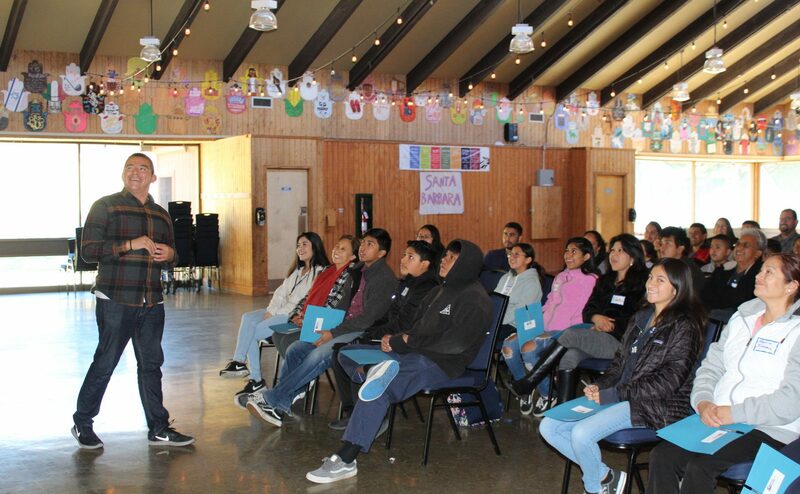 The YWC finds its origins in the “I am a student, too!” campaign which was an advocacy campaign spearheaded by Santa Barbara FLAMA youth in 2016. Our “I am a student, too!” campaign worked to address noise, drug, and alcohol issues in Isla Vista (IV) which were identified after students surveyed the Isla Vista community. FLA students worked to reduce the amount of noise, drugs and alcohol use that currently exist in IV by executing a well-attended town hall meeting and later a block party. One of the main causes of the negative effects of party culture in IV, is that college students aren’t aware that these issues which affect the children, high school students, and working class families living in IV as well. We want to be able to say, “I’m a student, too!”. Students from elementary up to high school take the biggest impact. There’s been events like Deltopia that have led to riots and there’s also been multiple shootings in IV. This is not the environment we want our future generations to grow up in. From a very young age, they are exposed to the party culture that exists in IV which influences their learning and educational success in general. Through surveying the community in IV we found that this project would be a huge benefit in which students and families who will be informed to be prepared to not be affected by these issues . We have already opened some eyes by presenting in professor Jonathan Gomez’ class and educating his class on the issues of IV. Further, Student Life at UCSB has committed to informing incoming freshmen about these issues. This work has a long way to go, but it’s time that things change in Isla Vista and beyond. Hence the creation of the Youth Wellness Coalition.